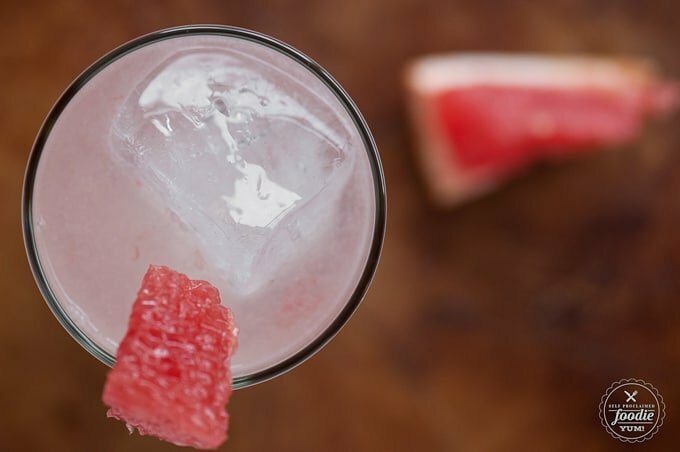 Make a quick and easy cocktail with one of winter’s best fruits and enjoy a refreshing Grapefruit Tequila Slammer. I’ve always loved grapefruit. Only difference is that when I was a kid, I used to (I kid you not) put a layer of sugar on my grapefruit that was about a quarter inch deep. I basically made myself some soupy grapefruit candy syrup. I’ve never put sugar on my kids’ grapefruit and they LOVE it! How is it that when I was a kid, I thought this fruit was impossible to enjoy without 1000 calories of sweet floating on top? Yet my children love the fruit by itself. I did the same thing to my Rice Krispies in the morning and put several spoonfuls of sugar on top of my morning cereal. How I got through childhood with an average weight and no early onset diabetes is a real miracle. The thought of eating that much sugar now just makes me ill. I love me a beautiful juicy pulpy grapefruit. Its one of the many things I look forward to come winter time. 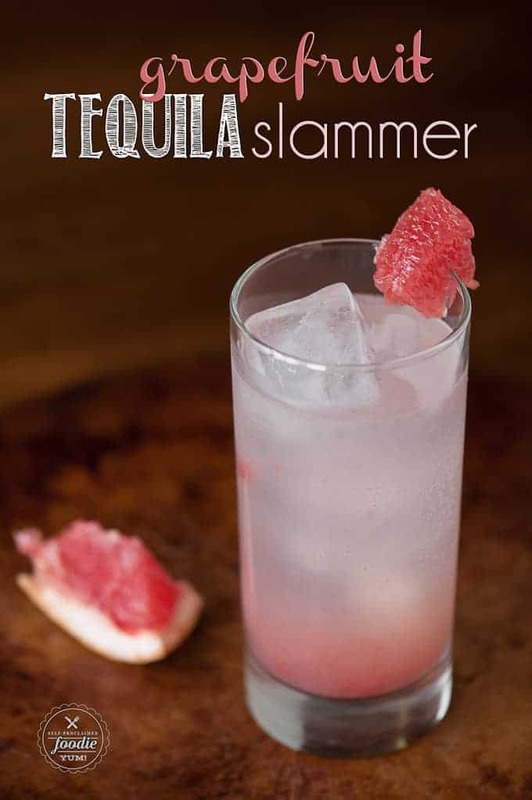 I was trying to figure out what kind of drink I could make with grapefruit and I stumbled across a drink called a tequila slammer in which you have equal parts tequila and lemon lime soda. Its called a “slammer” because you’re supposed to leave some room at the top, cover the glass with your hand, and slam your glass down to release some of the bubbles and mix the drink. I liked the name, so I kept it. I also added a lot of pulpy grapefruit juice because I felt like it. The result was a refreshing bubbly cocktail that was super easy to make. 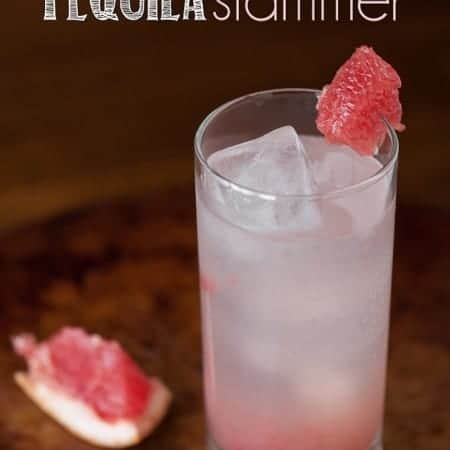 Make a quick and easy cocktail with one of winter's best fruits and enjoy a refreshing Grapefruit Tequila Slammer. Add all ingredients to glass with ice. 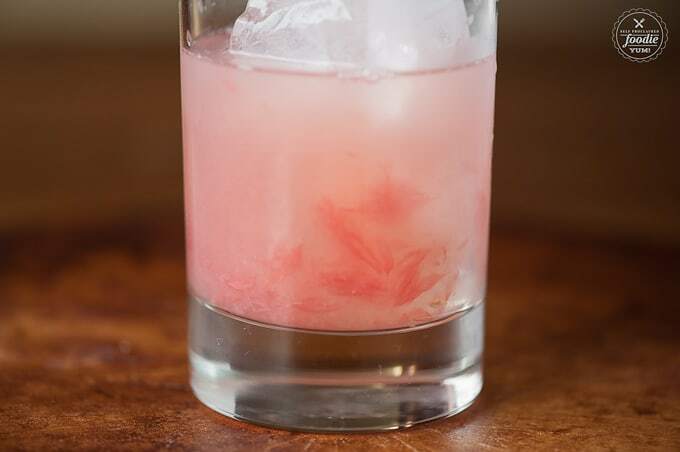 To get it to fizz up and mix, cover top of glass with your hand and give it a good "slam" against the countertop (wood works better than stone if you enjoy drinks free of broken glass). I MADE ONE OF THESE FOR MY HUSBAND AND MYSELF, DELICIOUS , THANK YOU , WE WILL MAKE THEM AGAIN. This is a fantastic cocktail for a #Friyay! Thank you so much for sharing the recipe – on my to-do list now! This is really yummy. 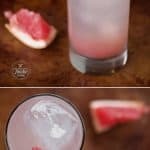 My husband makes these for me in the winter, because I love grapefruit drinks!! Yum. If you are on medication, make grapefruit is not a contraindication. It renders some meds less effective. I really enjoyed this drink. Hope you don’t mind that I’m sharing it on my blog. Thank you. I ended up here instead of roasted balsamic Brussels sprouts…?